Happy Hanukkah! We’re now two days into celebration. Time for the really fun stuff! Hanukkah is characterized by the joyous traditions associated with it. Remember, it is a joyous occasion…and Jews don’t need much prodding to have a good time! So let’s explore a few traditions. Traditionally, women play a major role in the celebration of Hanukkah. In the Middle Ages, Hanukkah became almost sacred for women and they were typically granted a reprieve from housework following the evening lighting of the candles. In fact, according to Rabbi Joshua ben Levi, because women took part in the original miracle, they are to light the Hanukkah menorah each evening, proclaiming the miracle. 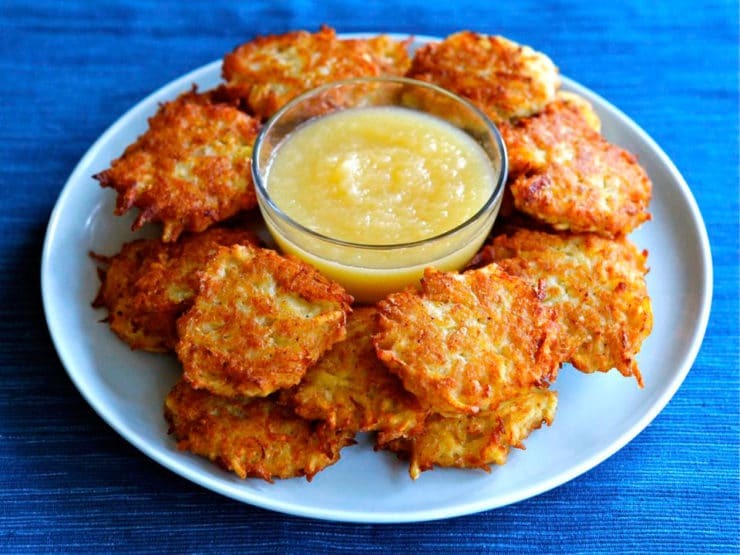 What in the world is a latke? Well, this Jewish festival features certain kinds of food, namely those made with oil. Again, oil is a reminder of the miracle…one day’s supply of olive oil, used for lighting the menorah, lasting 8 days! So, it is only fitting that oily foods would be part of the celebration! PS: the key to keeping them from falling apart is to be sure all the moisture is out of them before frying! I hope you are enjoying this Hanukkah season! To all my Jewish friends around the world: Happy Hanukkah! To all my Christian friends, remember: “No Hanukkah, no Christmas!” So thank a Jewish person for the enduring heritage and “Never say die” hardiness of the Jewish people.